I’m not quite sure if this is a Help Wanted sign or an extremely poor attempt at a personal ad. 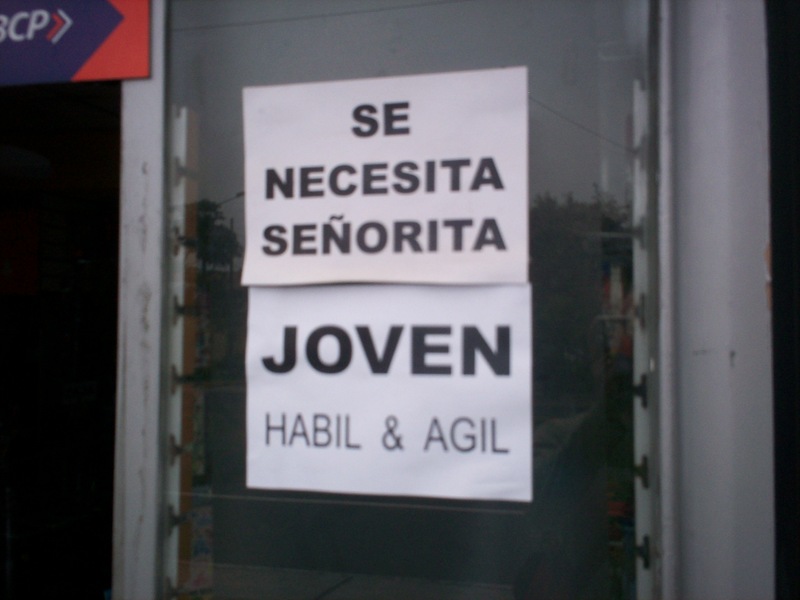 Google Translate again to the rescue as the new sign is asserting that the store is now looking for a “Young [man], skilled and agile”. I can only imagine what the applicants have to do to show their agile-ness. I can also imagine the hue and cry in the States if some outfit in Michigan, Arkansas, Hawaii, or Oregon put up these signs. Well, best of luck to this art store in finding who they are looking are. Of course, and as always, if my translations are not up to snuff, I fall back on Disclaimer No.2. On this fine and sunny Saturday, my lovely wife and I took our daughter and my wife’s mother (my suegra…which is Spanish for mother-in-law), who was visiting us from northern Virgina, to the healthy market (known locally as the Mercado Saludable) that appears every Sabado in our district of La Molina. Now, I could regale you with photos and frilly words about the variety of quinoa we saw, the healthy ice cream (lucuma flavored, yum!) we had, the locally grown vegetables we samples, and the tasty cinammon buns we bought, but that is not what this posting will be about. 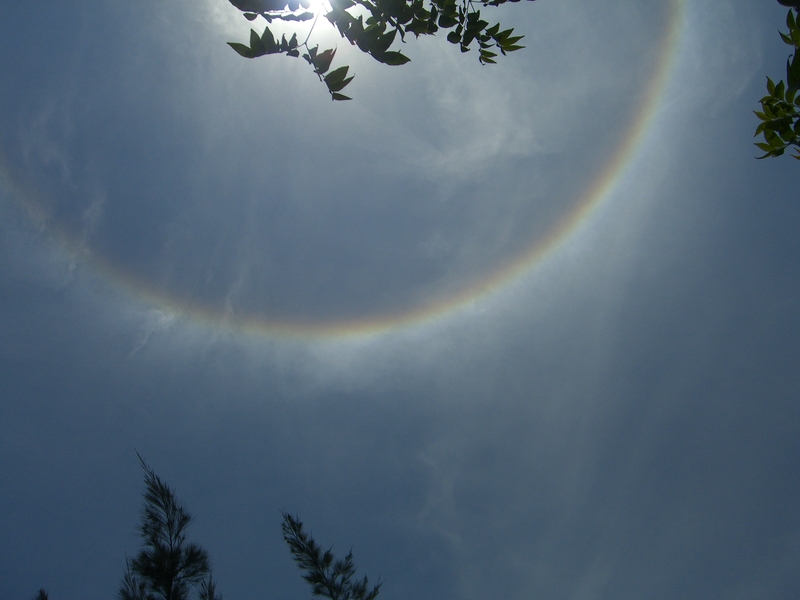 When asked by my lovely wife what it was, I identified this phenomenon as a sun halo, but a quick search on Wikipedia also used the name “22-degree halo“. 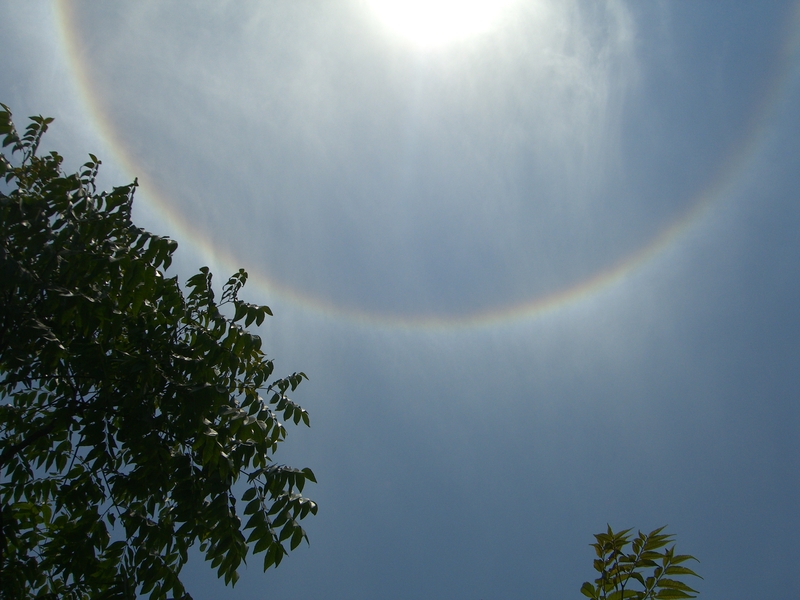 Maybe I’ll ask Phil Pliat over at Bad Astronomy what the scientific name is and why it happens. Either way, just another reminder to me, that as I scan my surroundings to look for new things to see and experience that I should stop looking side to side and, every once in a while, look up. Early on this fine Monday morning, I made my way down to our local grocery store – around 7:30am (ah, it is so lovely to have the kids away at school so early) – to pick up some foodstuffs for the house. On my approach, I was taken aback to find my entrance blocked by doors that were both closed and locked. A quick scan around the shuttered doors showed me that this business did not open until 8:00am. I live in a country where grocery stores are not open twenty-four hours a day (and there are simply not enough exclamation points on my keyboard to stress this point). What sort of looking-glass world have I been deposited in? To be fair, after about a minute (or ten) of ruminating on the situation, it dawned on me that there might be reasons for this non-24-hour season. First off, there may not be that big a market for people wanting to go to the market at 2:00am. If there was money to be made by late-night munchers, I’m sure some business would step up to take advantage of that. Secondly, people, both shoppers and employees, may not want to venture forth after midnight as people are concerned about their security. Finally, since most grocery shopping (at least here in my area of La Molina) is done by empleadas and since those helpers who don’t live with their employers probably show up to their workplaces around seven or eight in the morning, it makes sense that the stores wouldn’t open until their main clientele arrived. Of course, I could be 0-for-3 and completely and utterly wrong. At said store, once it opened, I bought a new flavor of yogurt (my second since my Peruvian adventure started). Called “frutado sauco”, it is light purple (lilac perhaps?) 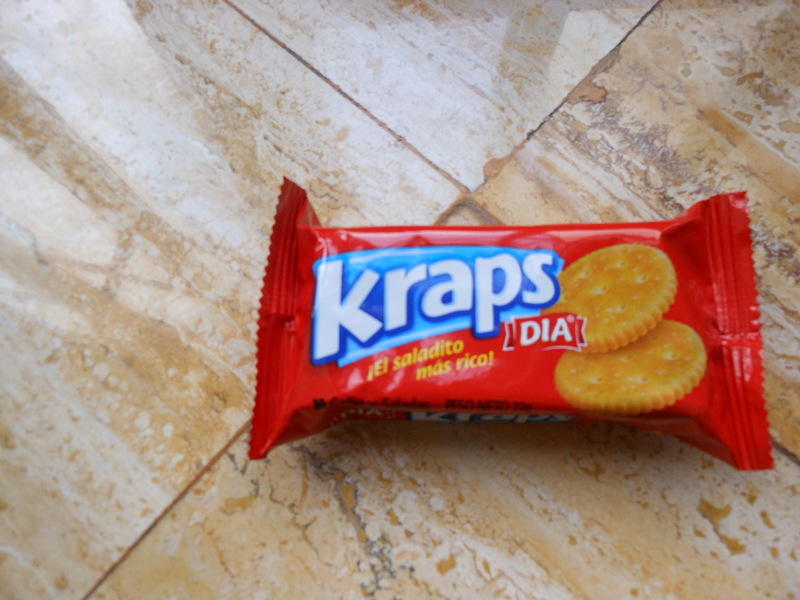 in color and contains tiny bits of a type of dried fruit or berry that is crunchy. Of note is that the yogurt that I buy here in the 150 gram cups is thinner than yogurt I bought in the States. The yogurt here is almost drinkable, which is ironic because the “drinkable yogurt” sold on the shelves here in Peru is thicker and more akin to a shake, albeit a thin shake. In a story in a newspaper I bought (La Republica for those you playing Sin Polaris Newspaper Bingo), there was a story about how much Peru exports to China. In the article, it mentioned that the country I now live in exported, in millions, $5.148,80, worth of goods. No, you didn’t read that number wrong. It was indeed five-point-one-four-eight-comma-eight-zero. Now indeed there is no rational or logical reason why the comma should be used to separate the thousands place from the hundreds place, but that is the format I am used to so it was a tad jarring to have to do a mental translation to understand that Peru exported over five billion dollars worth of goods to the Middle Kingdom in 2010. Yet another quirk to become accustomed to. We had workers in our house today fixing some of the heater/air conditioning units in our house. While they were doing their thing, I learned a new Spanish word, which was estufo (outlet). Similar to people’s first names, I have learned that it can be easier to remember things if I can relate the word in some way to something else. For example, if I meet someone named Bob and then stick the image in my mind of them in the ocean bobbing like a buoy, I am more apt to recall their name when I see them again. The way that I have forced myself to remember this new word is to remind myself that estufo looks similar to “stuff”, and what else do you do with an outlet but to “stuff” an electrical plug into it. Laugh all you want, I still remember the word. For today’s post, Disclaimer No. 1 has been invoked. Along with a newspaper article I read today, I saw something at our local grocery store that made me pause. In the health aisle – where the shampoo, makeup, eyeliner, and other beautification aids are sold – there are faces plastered on all the walls over the products. All of those faces are of Caucasian women. Some of the models even have blond hair. Heck, even Andie MacDowell and Kelly Ripa are featured in this aisle smiling over all the folks who want to buy toothpaste and lipstick. There is nary a model being showcased in this aisle as an epitome of beauty who looks anything like 90 percent of the shoppers. What must a dark-skinned, dark-haired Peruvian woman think when they look around this section of the store and see symbols of beauty that look nothing like her? I don’t know. Perhaps I’ll go ask the women who frequent my local Target in northern Virginia and ask them what they think when they look at the covers of Cosmopolitan, Vogue, and ELLE, where the models possess body types that look nothing like 90 percent of the shoppers. This is one of those days I am happy to have that Y chromosome running around my genome. He simply likes being able to say the name without consequence. Any day that starts off by opening up the window to greet the day and proclaiming, “What is that stench?”, is going to be an interesting day. That’s how our Tuesday AM started, with the gently wafting odor of not-quite-sure-what filling our home from the outside. While my nasal cavity and its attendant nerve endings were unable to identify the odor, I set about to determine its source. My first option of its location was the least desirable option. I was afraid that the smell, which was beginning to smell like some member of the animal family, was due to some hapless critter having expired right outside our door. A quick scan of the perimeter showed no ex-parrot or other formerly living creature. Phew! My second option was feasible, but not practical given the time of day. Every once in a while, the smell of barbecue or grill smoke comes in on little cat feet into our abode from one of our neighborly neighbors. However, as it was 7:30 in the morning, I deemed it highly unlikely that the people over the high walls and electrified fence would be firing up the barbie to char something. In addition, the option of grilling was becoming less likely as the smell was beginning to register in my brain as belonging to the fishy family of odors. Having exhausted all my options for identifying the source, I asked Ethel, our empleada, if she smelled the fishy, briny odor that seemed to be surrounding the outside of our house. 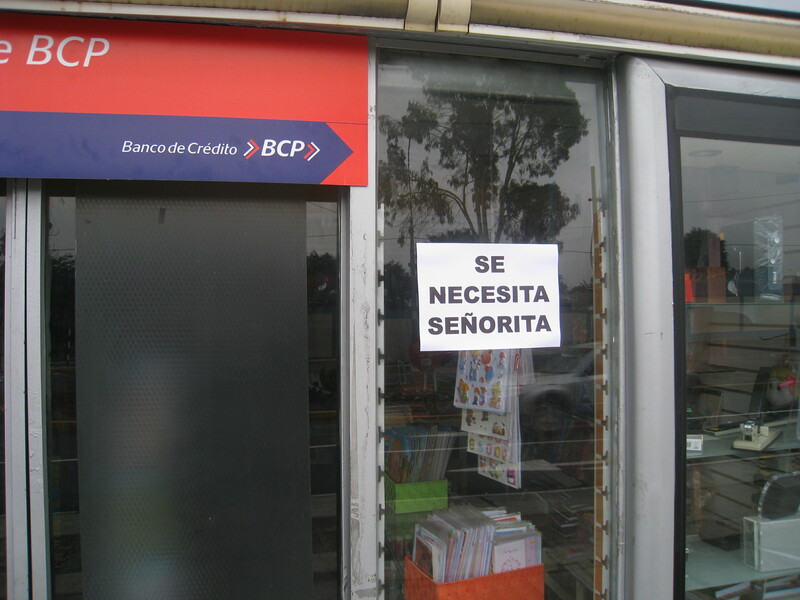 “Si“, she said, “es la brisa del mar“. Translation: Yes, it’s the sea breeze. I realize Lima is a coastal city (hence the fabulous seafood including ceviche), but our district of La Molina lies some miles inland from the sand, rocks, and ocean. Despite my obvious skepticism, Ethel assured me that the scent I was experiencing was that of the briny deep and that due to the offshore winds and how the mountains are situated, it does happen on occasion that the smell of pescado, sal, y agua (fish, salt, and water) can make its way up to my nostrils. Chalk it up to yet another new experience in this wondrous Peruvian adventure. We awoke back at our hotel in Cusco after yesterday’s ride (again courtesy of PeruRail) from Aguas Calientes to the outskirts of Cusco and a late-night taxi ride (again courtesy of Raul, our driver from the Sacred Valley tour) to Tika Wasi, our accommodations of choice in Cusco. As we had some time to knock off before our flight departed back to Lima, we enlisted the aid of Raul once again who drove us around some other sites around Cusco worthy of your consideration if your travels ever take you down to these here parts of Peru. 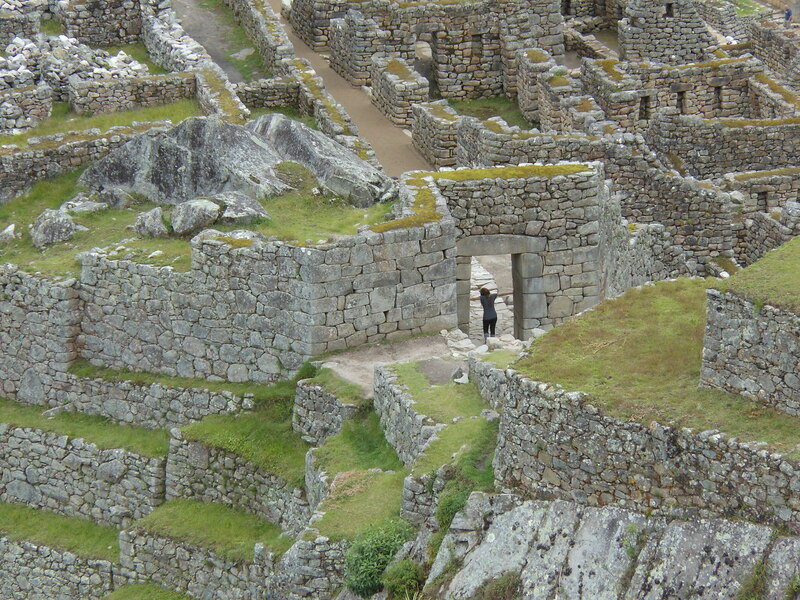 Tip #013: See all other ruins before seeing Machu Picchu. The ruins of Machu Picchu are so breath-taking and awe-inspiring that all other Inca ruins in the area are simply pretty piles of rocks. 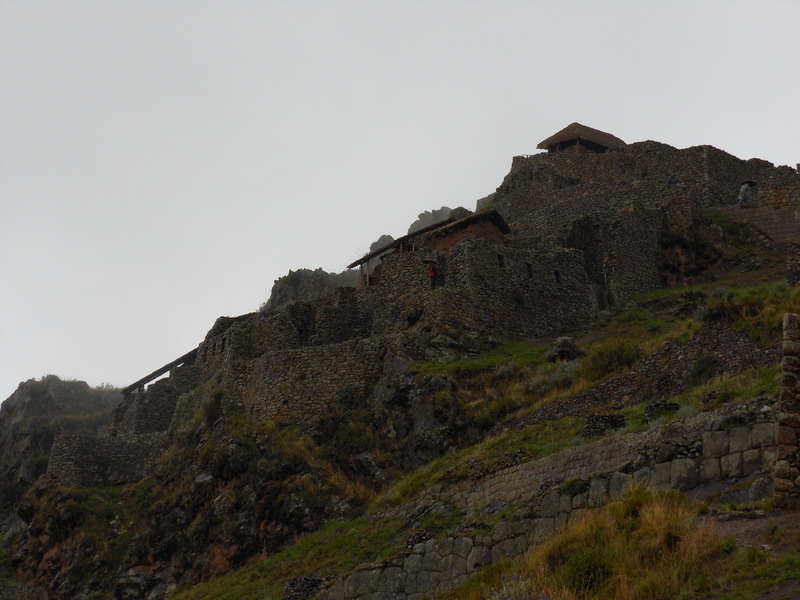 The family and I definitely were impressed by Pisaq and Ollantayambo, but we wondered if we would have been as awestruck if we had seen theses sites after Machu Picchu. 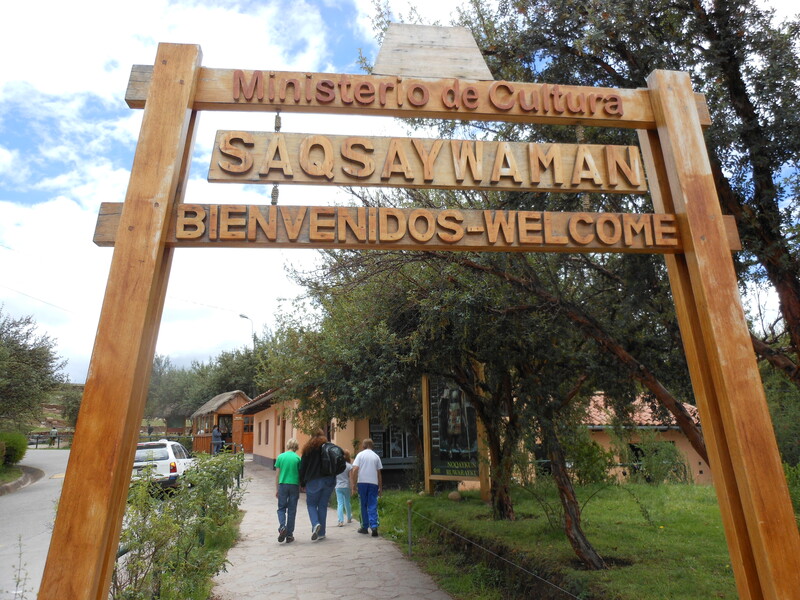 Suqsaywaman. 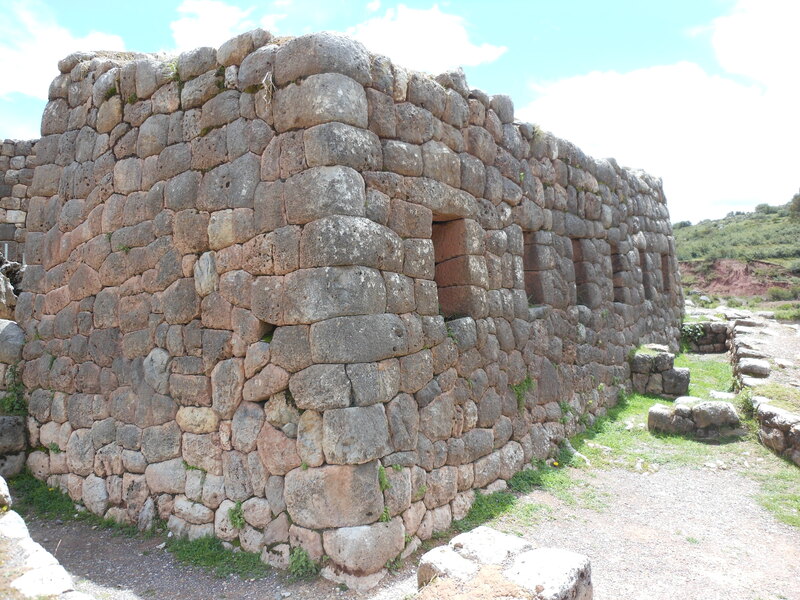 Located outside of Cusco, this site is reported to have a mystical purpose. 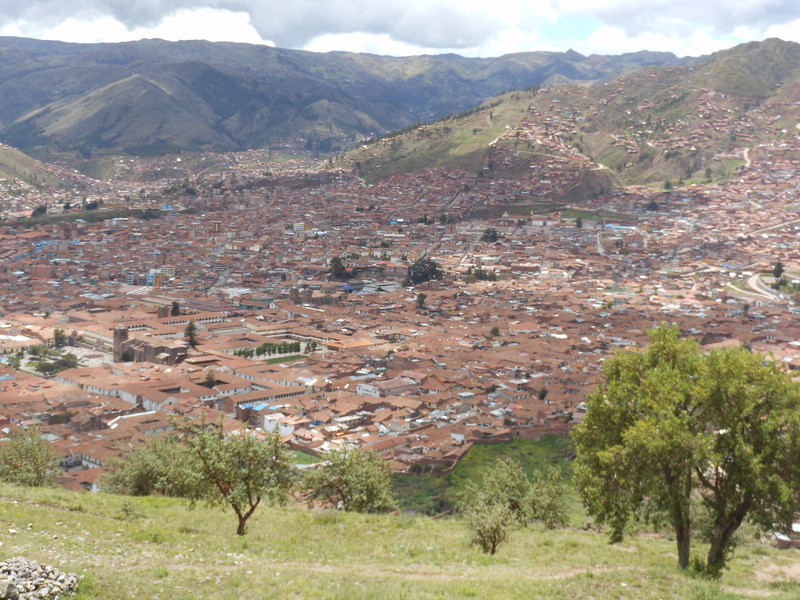 Raul told us that the city of Cusco was laid out in the form of a puma, an animal sacred to the Incas and still an important symbol for Peru, and that Suqsaywaman was the puma’s head. This site is large and comprised of two main mounds. Around these mounds are, as stated above in Tip #013, piles of rocks. 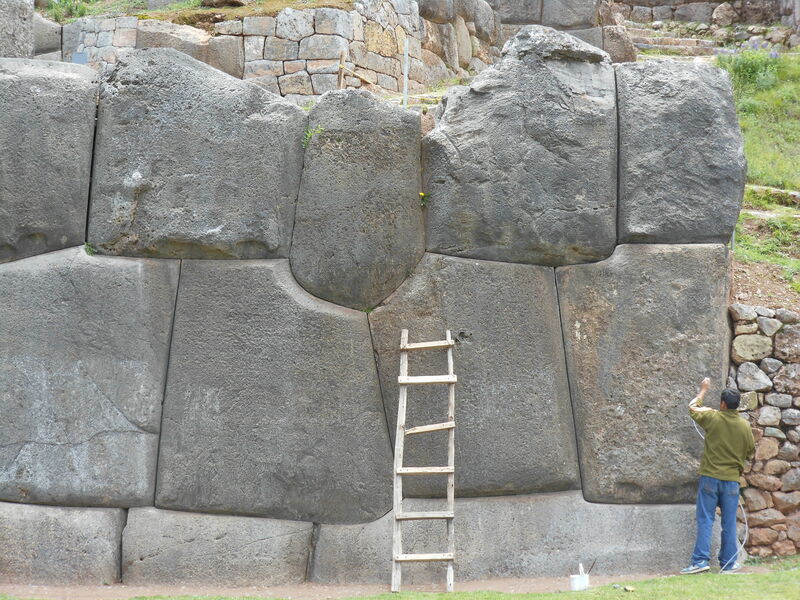 However, these stones are rather impressive as they are huge and are fitted together without mortar. 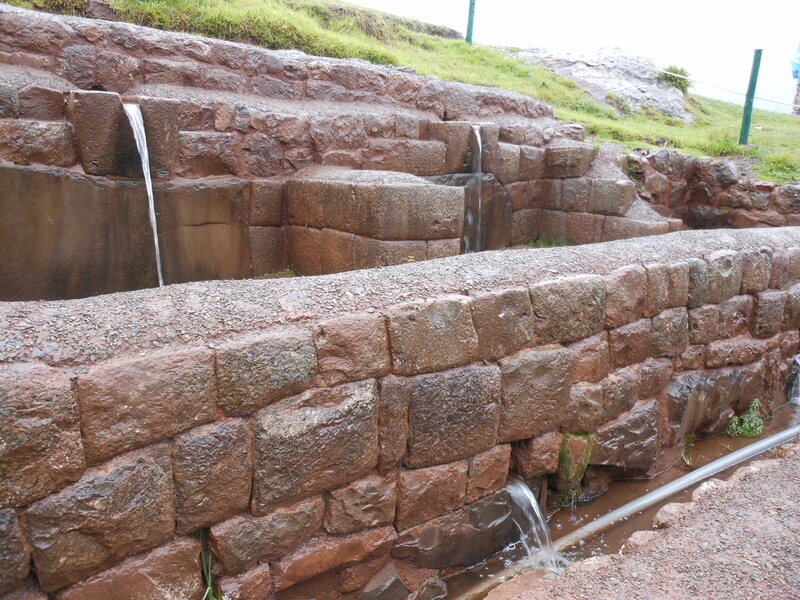 The architects, designers, and builders of this site – along with most other Incan places – simply carved and whittled away at the rocks until they fit together. There must be something to this procedure as these places are still standing. 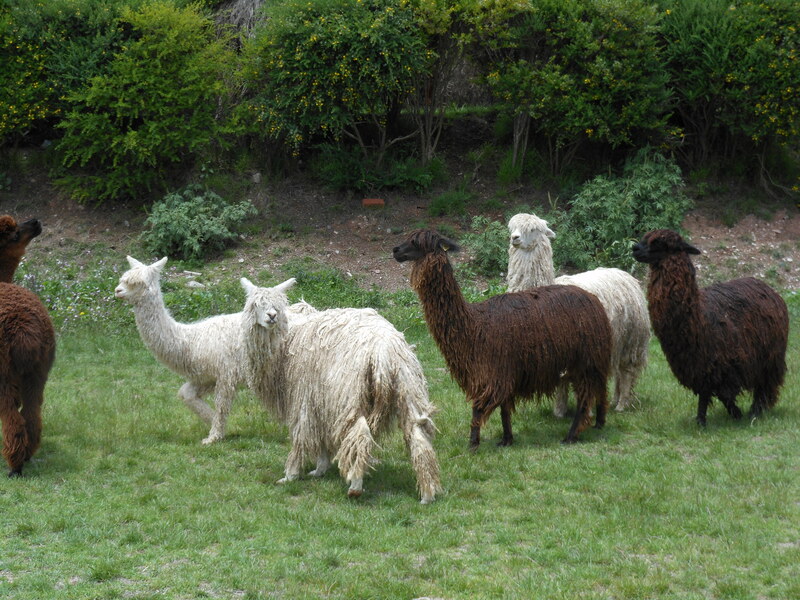 Mandatory shot of these animals by a blogger living in Peru. 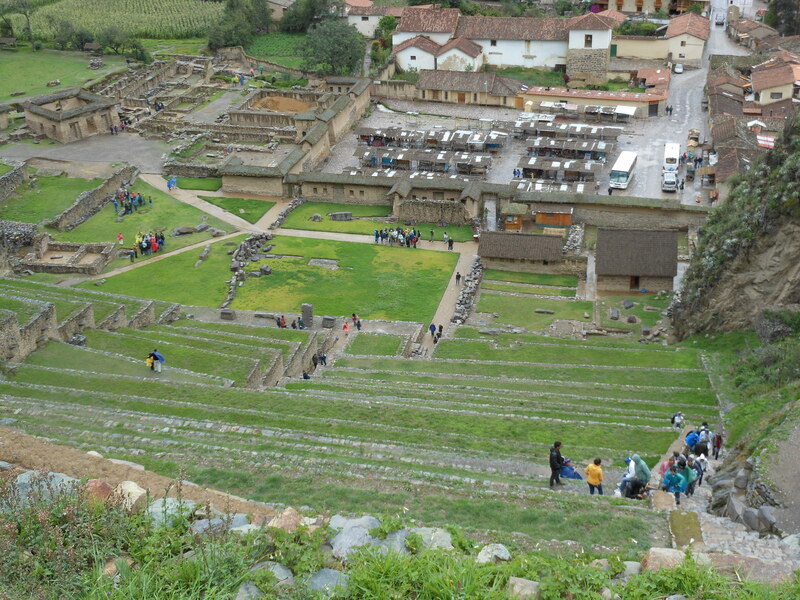 …and was impressed by the vista of Cusco we could see from the vantage point that Suqsaywaman provided us. 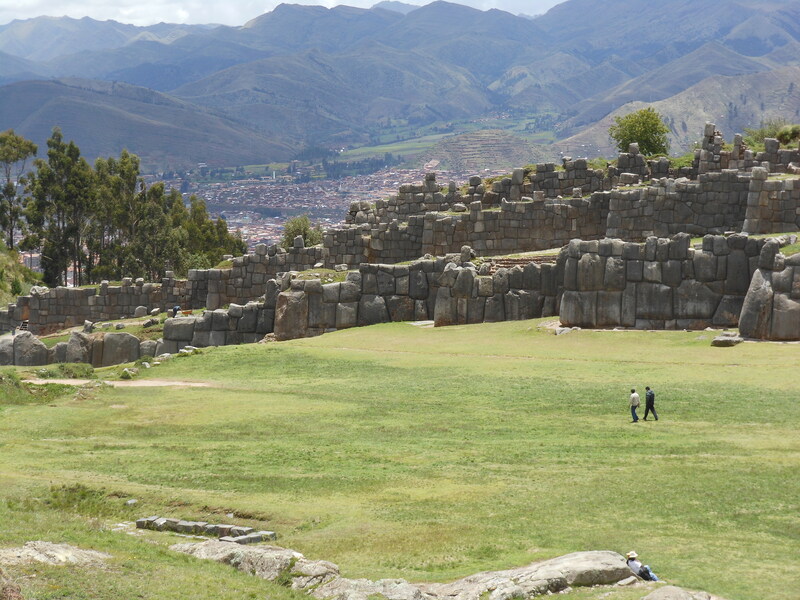 As we completed our tour of Suqsaywaman, we knew we had come to the end because we found ourselves at the gift shop. From Suqsaywaman, our tour group went to Q’enqo, which was described to use by Raul as a place where llama sacrifices were held. The priests would know when to do the sacrifice because the cave where the ritual was done had slots in it that would allow the rays of the sun to enter at certain times during the year. 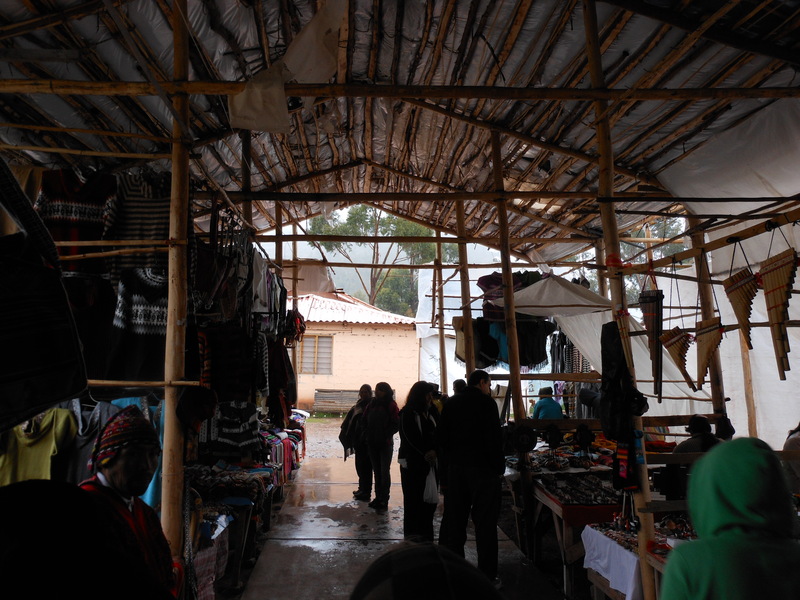 Our last stop of our tour was Pukapukara, which was a checkpoint on the road to and from Cusco. We finished our tour with Pukapukara and after a quick lunch, we were dropped off at the airport where we caught our flight back to Lima and our home. As you might have gleaned over reading the past five posts, it was an incredible trip and one that I am glad my children will remember even when they are my age. I’ll end – like any good speechwriter – with a joke courtesy of our driver (who we found by chance), Raul (so you can blame him if his ha-ha is off the mark). 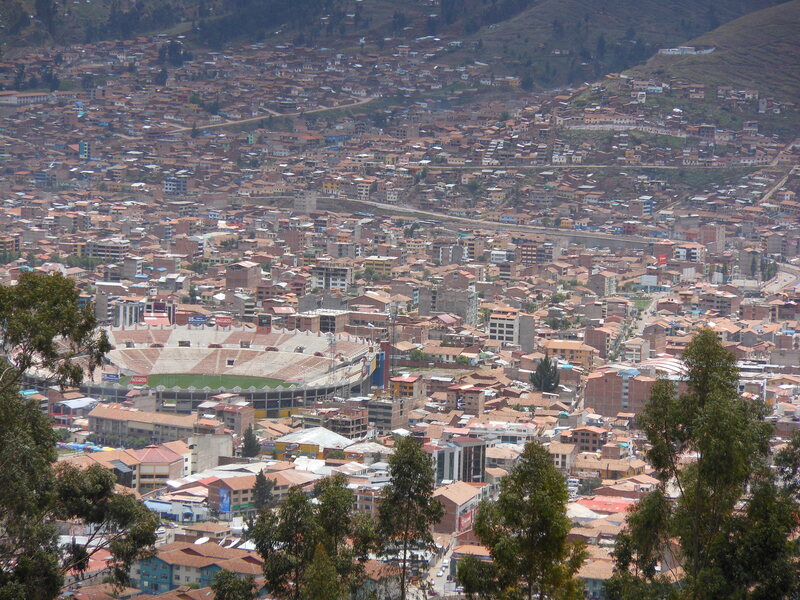 Now I have an odd collection of facts running through my brain so I was aware that there are college stadiums in the United States, soccer stadiums in Mexico, and cricket stadiums in India that can seat over 100,000 (actually the Top Ten List can be found here), but I was not aware that a stadium in Cusco, Peru, that hosts the local soccer stadium had the distinction of “largest”. “Why is it the largest?” I asked, playing the straight-man perfectly. And here I thought football fans in the United States (and here I am thinking of the days when fans of the New Orleans Saints went to games with paper bags over their heads) were harsh on their losing teams. They had nothing on Raul. This is the day we had been travelling for: the day we would trek around one of the New Seven Wonders of the World. But first some administrative stuff for the would-be sightseer to Machu Picchu. 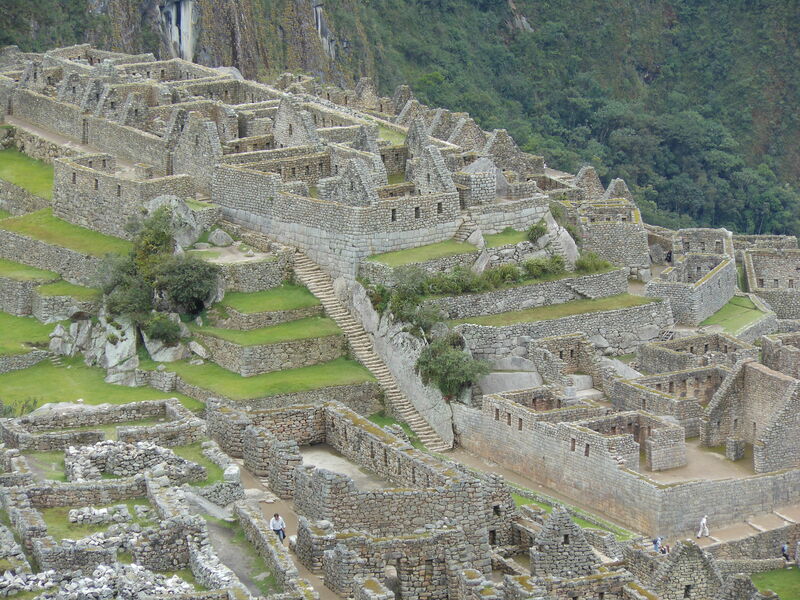 The closest city to the ruins is the village of Machu Picchu. 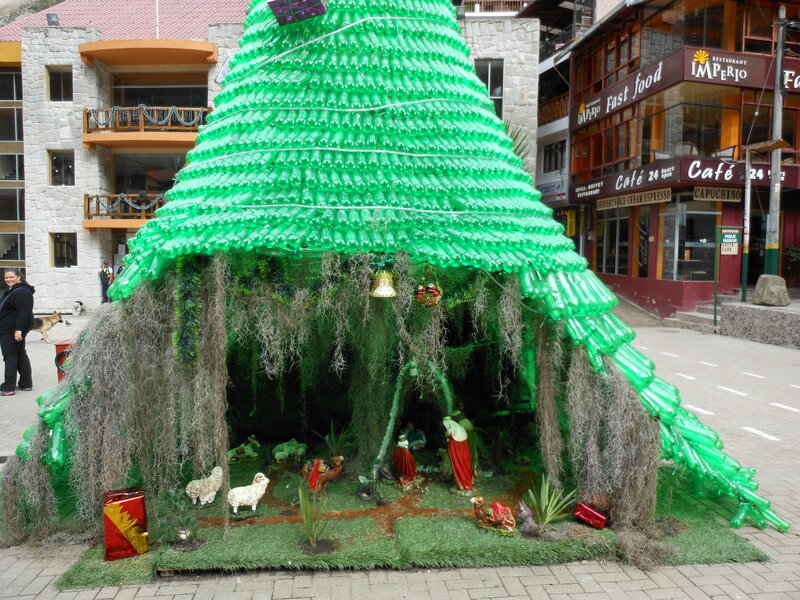 As this similarity of monikers tends to confuse some people, this little hamlet goes by another name: Aguas Calientes. 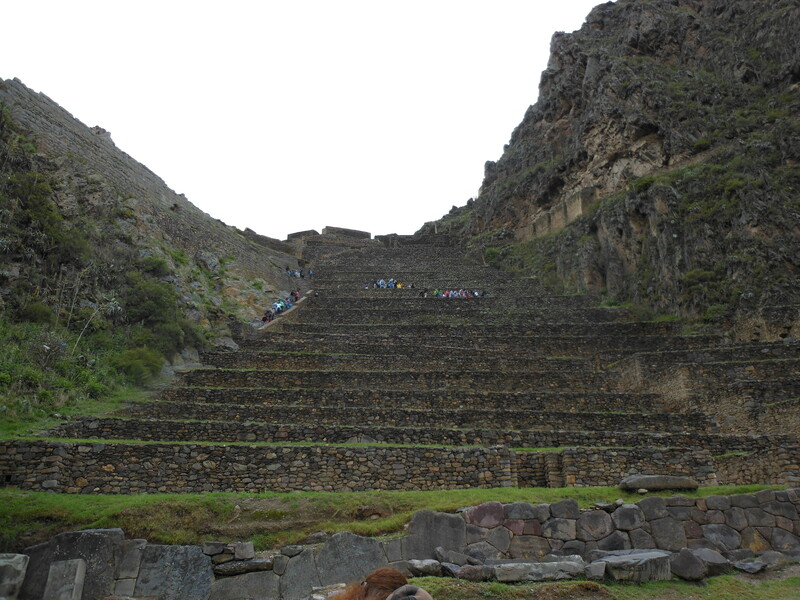 This is where you must go to board the bus that will take you to the Lost City of the Incas. 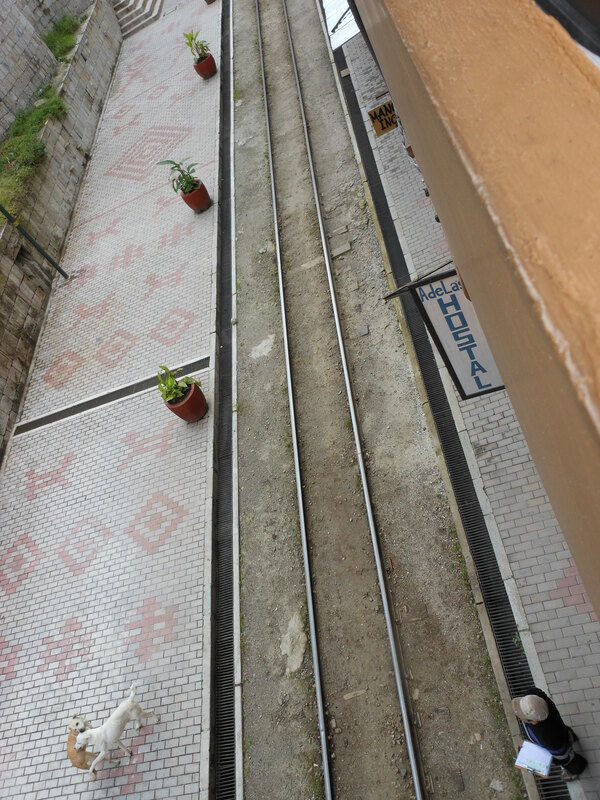 Tip #012: In Aguas Calientes, know where the train is in relation to your night’s accommodations. We caught the bus from the town and took the switch back road up the mountain that was just wide enough for one and a half buses to pass each other. As we went up, buses were coming down and the drivers had to do an automotive ballet of moving their land ships close to the edge of the mountain without falling off the edge or scraping the sides of the bus on the vegetation. I now firmly believe that the awe and wonder most people feel upon seeing their first glimpse of the ruins of Machu Picchu is really the feeling of simple relief that they made it up alive in the first place. 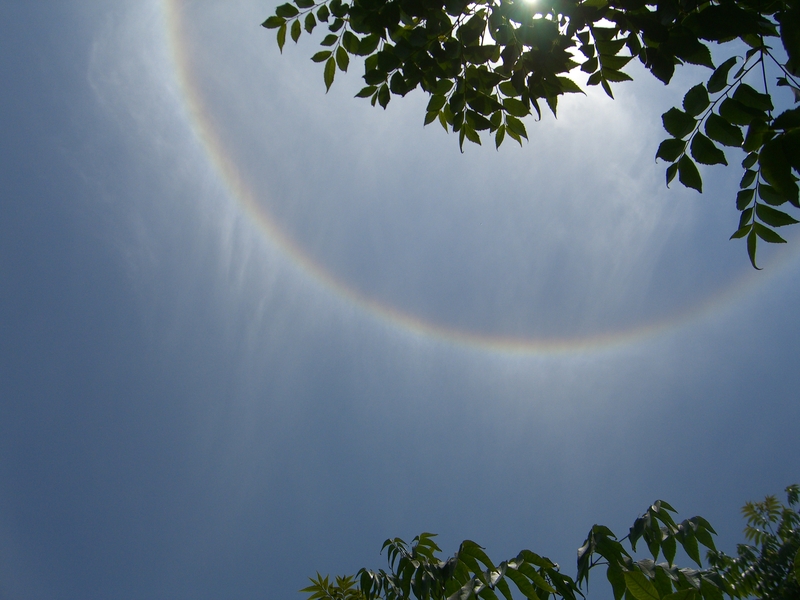 Other than the iconic shot I blogged about earlier, this is the coolest thing I saw at Machu Picchu. 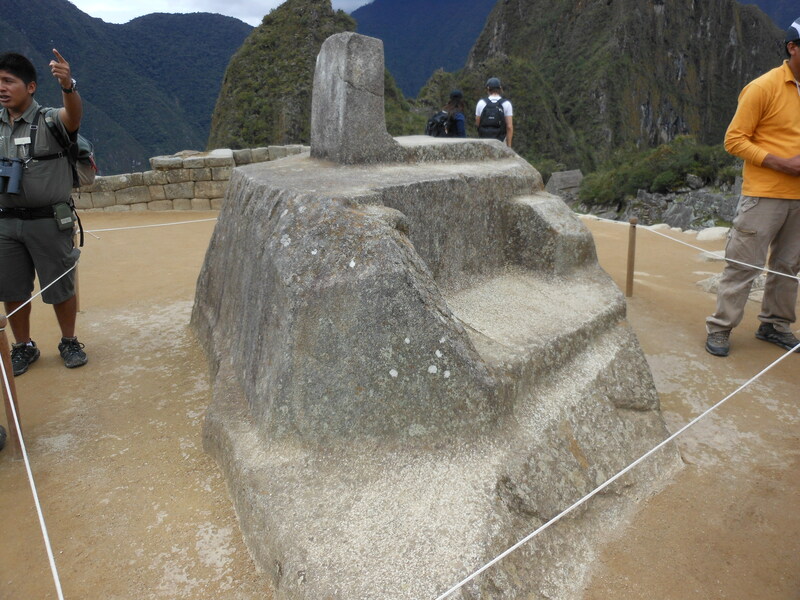 It is called the Intiwatana stone and our tome of reference that we used during our trip, The Machu Picchu Guidebook: A Self-Guided Tour, says it is not a sundial, but is sometimes called “the place to which the sun was tied”. The Intiwatana was sculpted from the rock that formed the peak of this natural pyramid, creating an elegant and multifaceted stone masterpiece of exceptional elegance and beauty. Why haul some piece of masonry up the mountain when you can simply carve away the mountain until you have the beautiful sacred object you want? This place is awe-inspiring, beautiful, majestic and was thankfully rain-free, which made our trip to this unique site all the more remarkable. ..and this final thought: That large peak you see in the background is called Huayna Picchu and you can hike up to its top if you have the legs for it. We interrupt our ongoing serial about the travels of our author and hs family and sister-in-law to Cusco, the Sacred Valley, and Machu Picchu to bring you this announcement. ‘Twas on this day in 1535 that Spanish conquistador Francisco Pizarro founded the City of Kings. I’m not sure what one buys as a gift for a city that is turning 477 today but if I had one wish for the city it would that one of its main soccer futbol teams, Alianza Lima, does well in this year’s Copa Libertadores tournament. If I did have the means, the one gift I would buy the city would a state-of-the-art municipal water filtration system so that its citizens could enjoy fresh water direct from the tap without the need to boil it or to rely on bottled water for their hydration needs. Hmmm…I wonder if I could create a Kickstarter project for that idea? This concludes today’s birthday announcement. Thank you for your time. 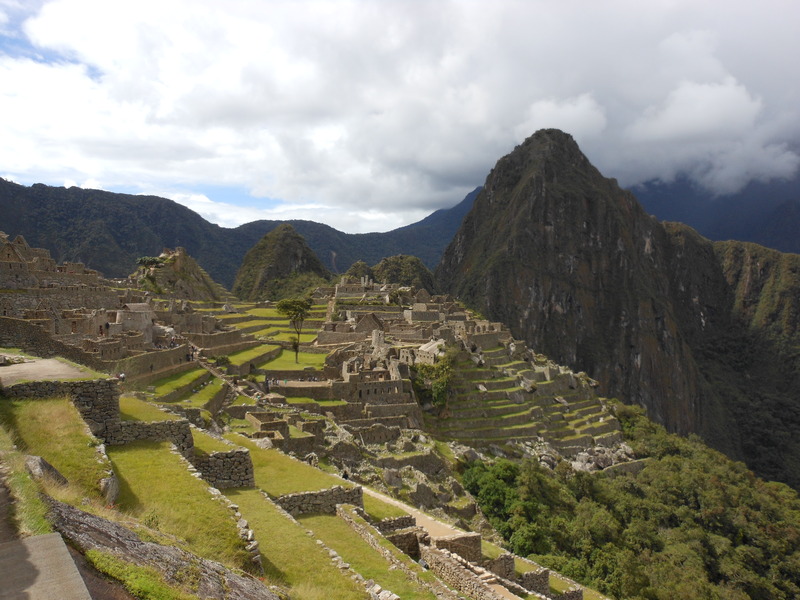 We will soon return you to Fourth Day of Five – Machu Picchu. Tip #011: Bring a poncho. 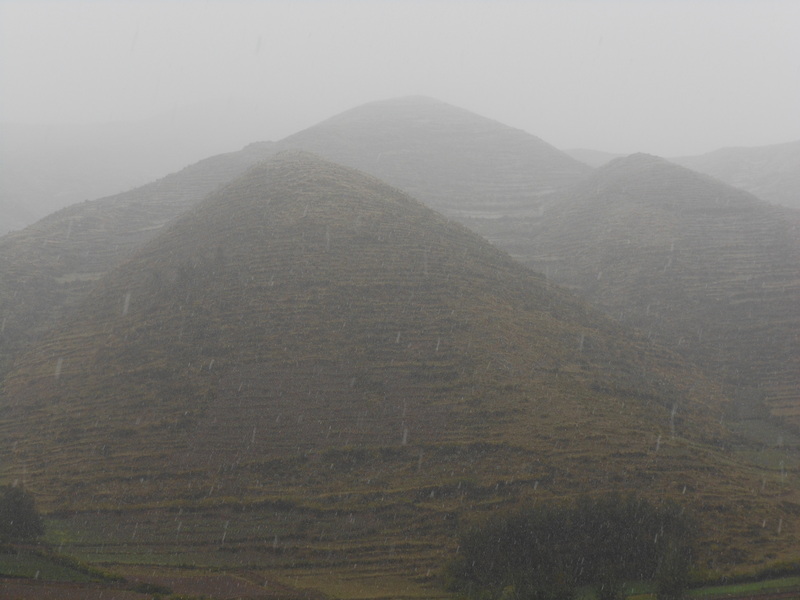 December in this region of Peru is rainy season. 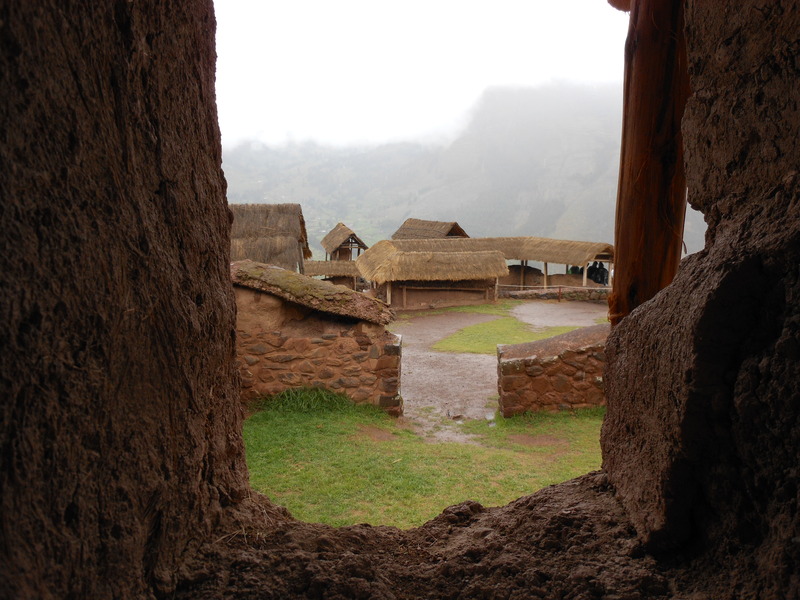 For the majority of our travels through Peru’s Sacred Valley region, it rained. We had come prepared and our entire party was outfitted with blue ponchos to ward off the precipitation. 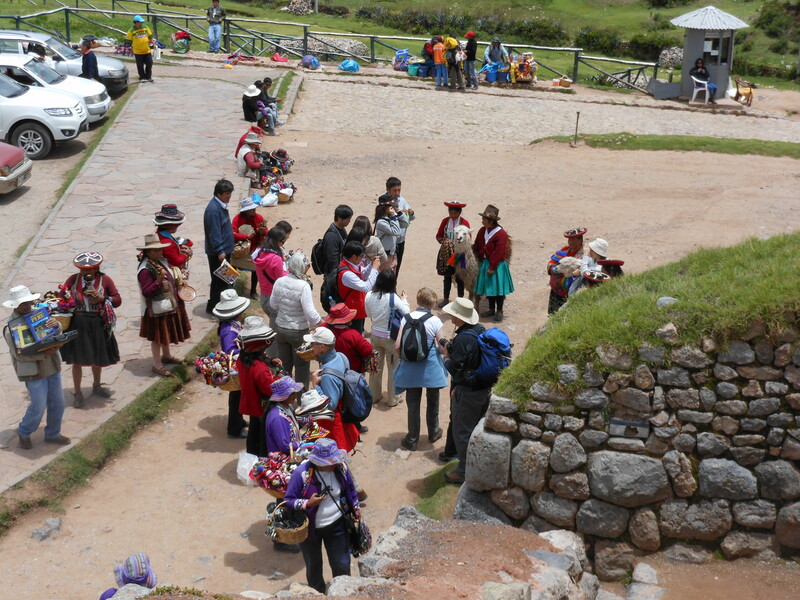 We had secured the services of an owner of a large van who agreed to take us on a tour of the Sacred Valley. This is where Tip #003 (from two days ago) comes in handy because I doubt our band of travellers would have discovered Raul had it not been for the Spanish-speaking duo among us. We eschewed a traditional tour provider because we didn’t want to be on anyone else’s schedule. 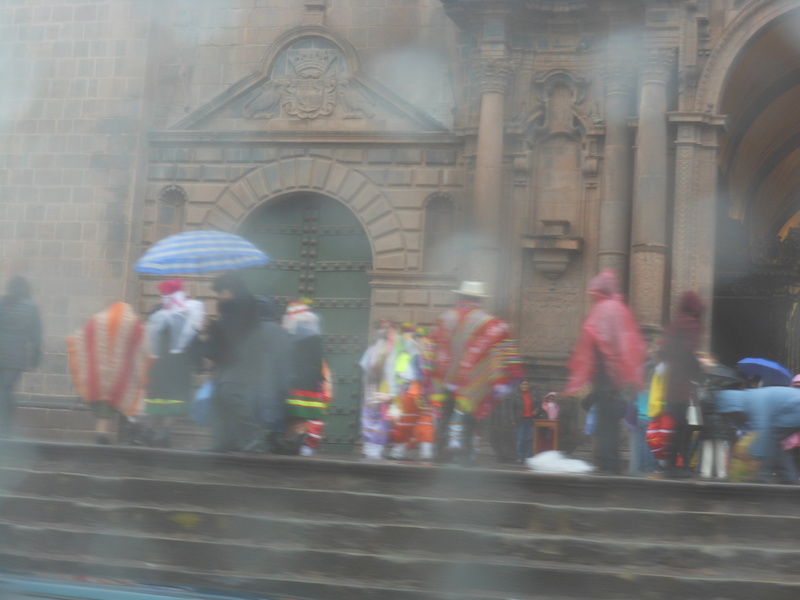 Plus we didn’t want to do the typical round trip tour and wind up back in Cusco. 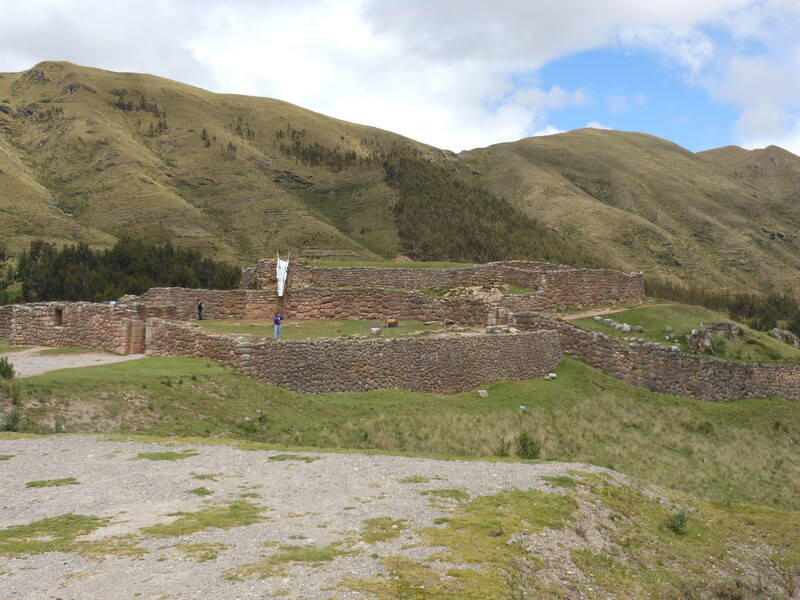 Due to our itinerary, we needed to finish today’s outing in a spot that is the halfway mark for traditional Sacred Valley tours (that would be Ollantayambo for those who simply must know now and can’t wait until the proper moment in this narrative). Instead of a fire sale, they were holding a "flood sale"
…but it even began to snow so we were able to enjoy a white Christmas 12 degrees south of the Equator. Okay, the picture below does it no justice, but those white streaks are large blobs of snow. Next stop was an animal sanctuary, the Santuario Animal de Ccochahuasi, inbetween Qorao and Pisaq. 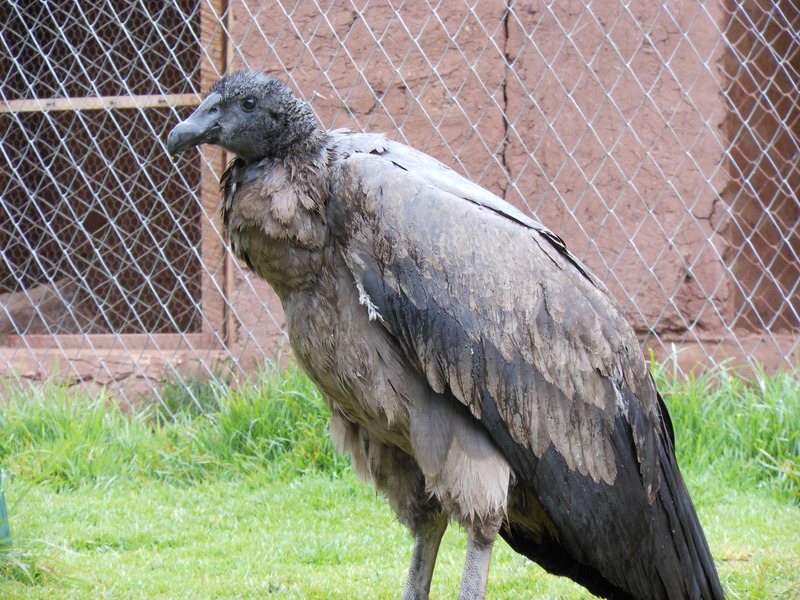 With ponchos donned and umbrellas in hand, we walked around the grounds and saw llamas, alpacas, Andean bobcats, pumas, and condors (such as the one below). When taking a picture of an avian, it is traditional to say "Watch the human!" Our first installment of seeing an incredible pile of stacked rocks (and despite those words, there is no sarcasm meant or implied because one stands – even in the rain – in freaking jaw-dropping awe of the amazing architecture and engineering the Incas used, had, and implemented when they built this and other places) was the ruins of Pisaq. After a lovely buffet lunch at El Maizal in Urubamba (for only S/.35…such a deal for Peruvian standards like choclo and lomo soltado), our next stop was the even more-impressive stacked pile of rocks at Ollantayambo. 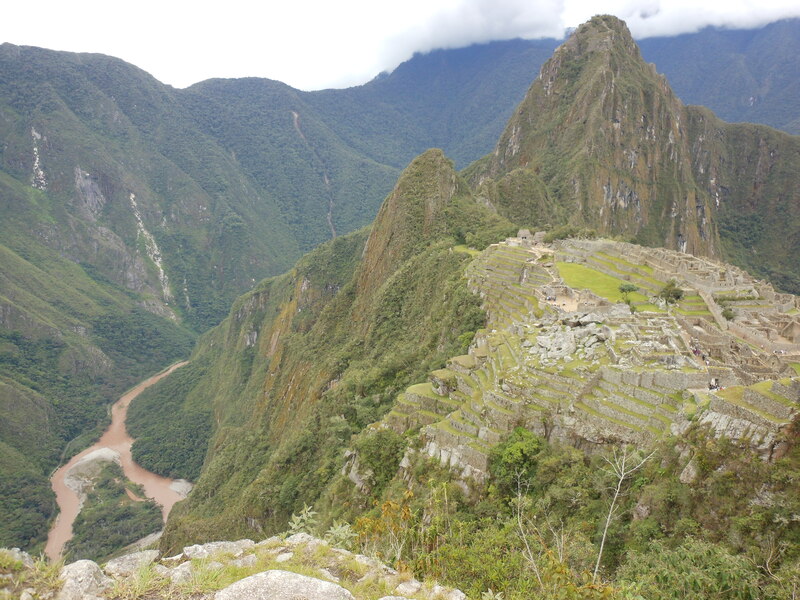 Pictures, and my horrible snaps are definitely no exception, cannot do justice to this place or to Pisaq. These sites are true marvels. We finished our day with a train ride (courtesy of PeruRail) from Ollantayambo to Aguas Calientes (the town just outside Machu Picchu) and settled into our hostel for the night.